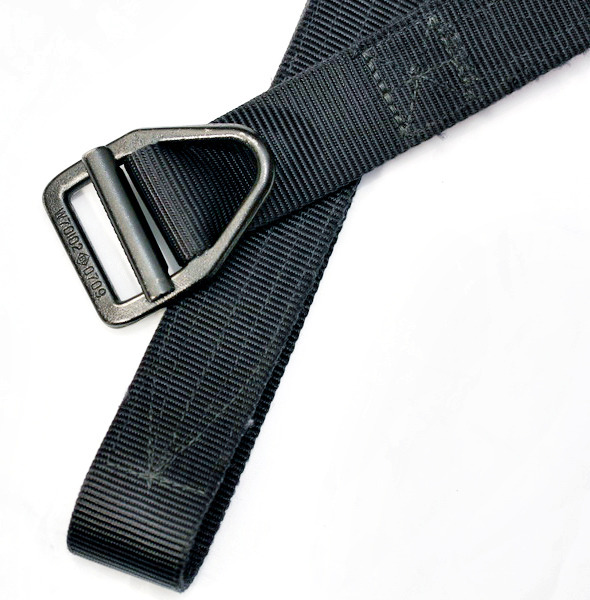 Per Larue Tactical's website, this belt is 1-1/2" in width, has a carbon steel V-ring buckle coated with non-glare black Roguard®, Velcro-faced tongue adjusts to accommodate various pant sizes, Proprietary resin treated belt tab provides permanent protection from fraying, and it came with documentation of stress results (that I must have thrown out since I do not have them). 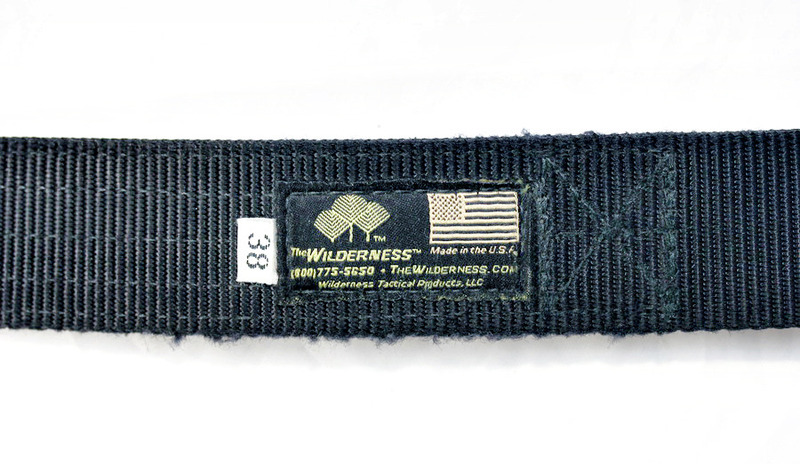 The belt on their website as well as the The Wilderness website for the Original Wilderness Instructors belt show a slightly different belt than the one I have. I am assuming because they changed their design and this is what it used to be. It is not a new item so I am not surprised the design was changed slightly. I bought the belt from Larue Tactical more than 2 years back and have worn it for pretty much everyday for about a year from the time of purchase. I bought this belt specifically because I was working plainclothes and needed a belt that could hold all the stuff I needed while working, as well as a sturdy belt for every day applications. I was ordering from Larue anyway so I ended up adding this to the bill, I believe it was around $40. I bought two sizes above my normal belt size, as recommended, so a 38" was ordered. 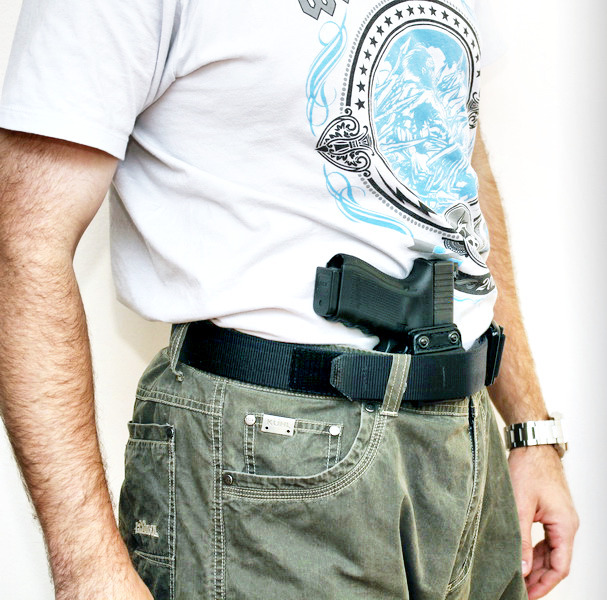 If I carry I wear a 36, which is 2-3 inches above my normal belt size if I do not carry. When it came in I was pretty surprised with how rigid the belt felt. It was extremely buckle heavy however, and that worried me in terms of back support while carrying. I did not want all the weight to be pushing the belt down forward towards the front of my waist and putting pressure on my back. I found out that it absolutely depended on what I carried and how long I carried it. I bought the belt black because I am not a big fan of the only other option that they had at the time which was FDE/tan. The buckle looked very sturdy and the hook/loop was nice and crisp. Once I received this belt, I wore it every single day for the better part of a year, then when I replaced it with an Atlas belt (review coming soon), I wore it when I was on duty but did not need to wear a full rig (admin/court/etc). The belt held up very well. 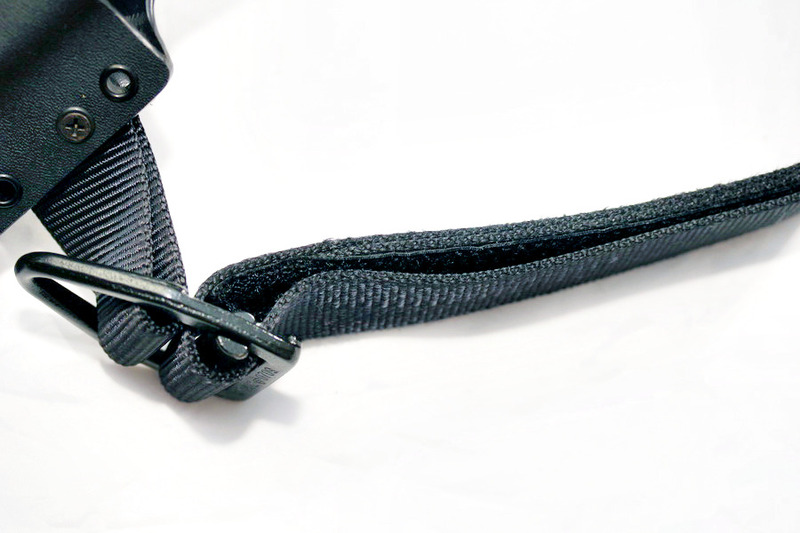 The hook/loop has not deteriorated with use, and it has been very crisp. 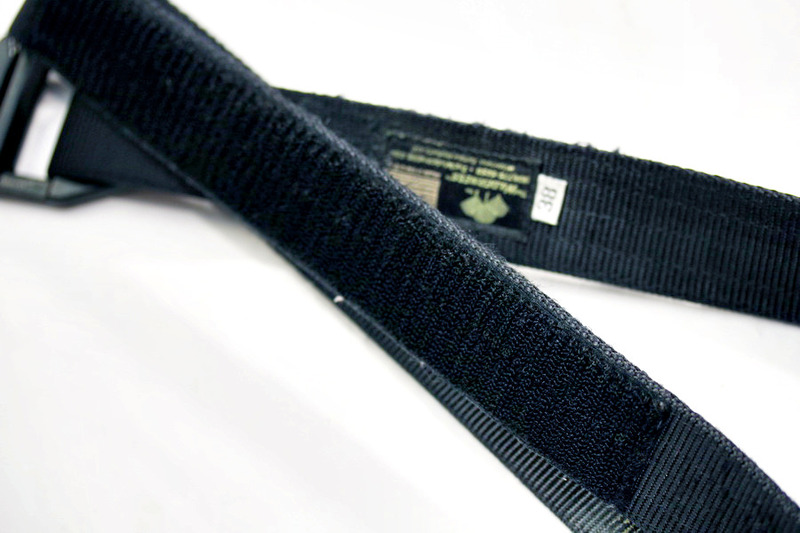 Though some fraying can be seen on the edges of the belt there are no sow lines coming out, nor are there any structural issues. The material they used (I believe this is a 3 stitch) has not given up yet and I am not very nice with my gear so the fact this belt was able to keep its sturdiness through all the abuse I have put it through is incredible, especially at the price point. Adding stuff to the belt does not make it less sturdy and it keeps items exactly where I want them. 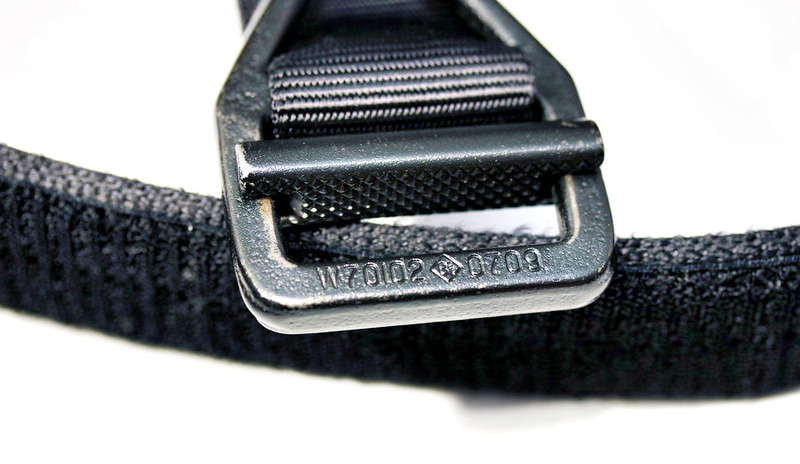 Through using it daily I thought that the coating on the belt would chip and flake off, exposing the metal of the buckle (and usually staining shirts, which I have heard common with older 5.11 belts or cheap knock-offs) but it has not been the case here. As you can see there are some spots where the buckles coating has worn off, but that has been over many uses. The center metal piece's teeth have not dulled and are able to grip the belt to keep it locked in place. The V-ring itself has not changed shaped or been deformed. It has held up well. While this belt is a really good belt for those who need a cheap belt that does everything and then some, I cannot help but point out that I have not used this belt in its originally manufactured capacity. I have never hooked up a carabiner to it and done anything like that with this belt. So I do not know if what the manufacturers website states is true. I have, however, worn it everyday with many different setups and it has held up. My chief complaint with the belt is not really that serious, but respective to application. 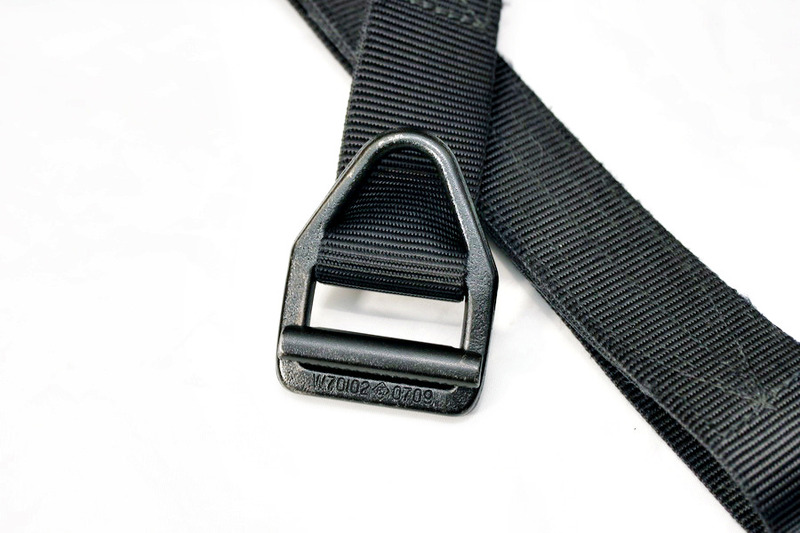 Specifically that the belt requires you to loop the end through the buckle and run it along the belt to attach it to the hook/loop section. This is an issue if I am carrying something on my belt that I cannot loop through or over. 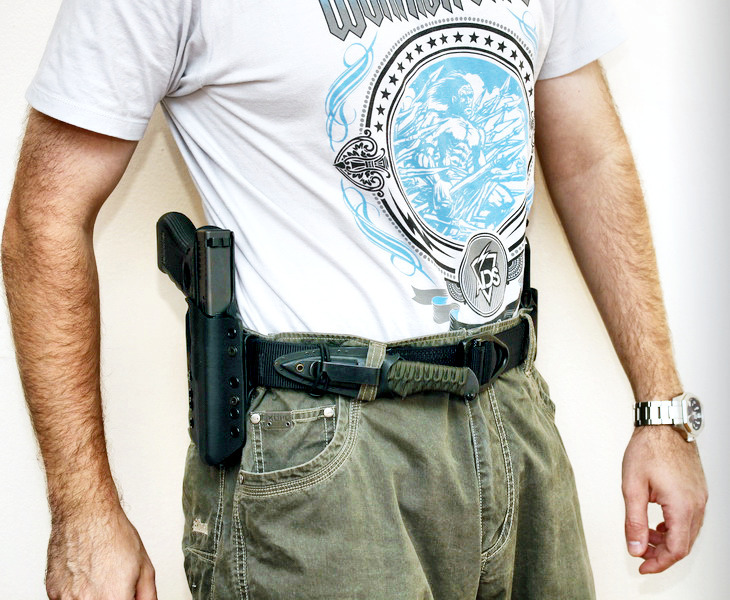 The Garrity AIWB holster requires me to loop the belt through the holsters belt loop and then over it in order to secure it. Obviously I can flip the belt and wear it so that the belt end secures in the other direction, while it is a pain it is not a deal breaker for the belt. Just something to be informed about if choosing this belt. When taking this belt on/off you will make noise. Not an issue for many people, but for those with small children or light sleeping spouses it may be an issue trying to get your pants off and having your belt kling and klang as you are doing so. Again, not a deal breaker. 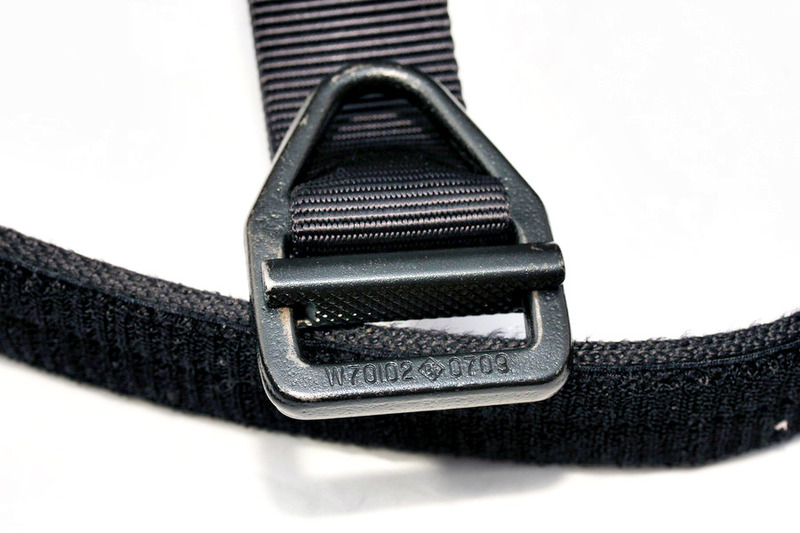 I would recommend that before you make any choices you check out Volund Gear Works Atlas Belt. I have two which I will be reviewing and the non-cobra model is the one that replaced this belt. In my opinion, while the stiffness and sturdiness of the Wilderness belt is very good, if compared to a regular leather belt, it is not the best in the best in the business. For the money you spend you do get a good belt, but if you want that added sturdiness you can look at the Atlas belt as it offers a sturdier or more rigid belt.